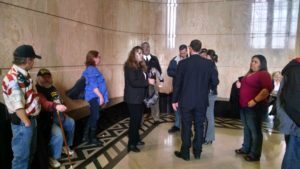 March 7, 2017…..Oregon riders did a tremendous job today stating their case that reckless drivers need to be punished for hitting and then either severely hurting or killing motorcycle riders. Riders provided compelling and heartfelt testimony regarding HB 2598 we call the “Milkman Mike Bill” or is also known as the “Driver Responsibility Bill”. We in the motorcycle community hear it all the time: A friend or acquaintance is hurt or killed by a reckless driver using a cell phone or is goofing around. And then the offending car driver may or may not be cited. Meanwhile the rider is being scooped up by the EMT’s only to find out later there was no citation. Or perhaps the driver is cited a few hundred measly dollars. There is no other recourse for the rider than their insurance company getting involved. If the rider is lucky he or she may be able to file a civil suit. One rider today testified that she was hit by a car driver who had no license or insurance. Then the driver drove away parking a few blocks from the accident scene. This driver received approximately $900 in tickets and that was it. The rider spent 3 weeks in ICU and had a long convalescence with many surgeries since the accident. Her life is changed forever. It was a similar story for each of the riders that testified today. A woman testified about her husband who was killed by a left-hand turner. That driver was never cited. 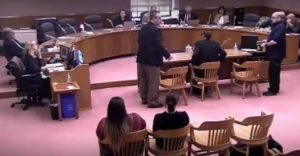 Here is a great injustice that hopefully the Oregon Legislature and our Governor will agree is something that needs to be addressed. 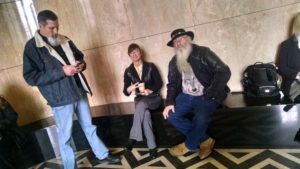 Much thanks to AIM attorney Christopher Slater, BikePac, and ABATE of Oregon for their skillful efforts of organizing the hearing testimony. 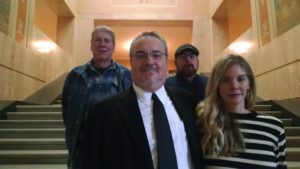 Much thanks and great appreciation for the riders and widow that testified today. They got the attention of the Legislators of the House Judiciary Committee. Video of testimony – Click Here. If you have not sent your letter to your representative, please check out the CALL TO ACTION posting on this website.